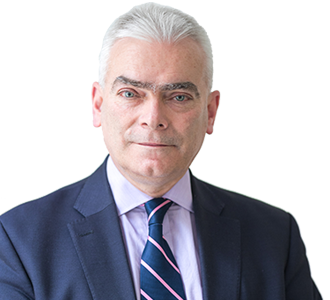 John McGuinness is a recognised leader in advising public bodies and companies on a wide range of criminal and regulatory matters, including corruption, terrorism and disclosure. He is retained as leading counsel in cases such as those concerning allegations of multi-jurisdictional tax fraud. He is noted for his strong work ethic and persuasive advocacy style. Conducts a wide range of appellate work, including: Appeals against conviction and sentence, Judicial Review; Appeal by Case Stated. He is regularly instructed in the High Court, Court of Appeal and Supreme Court in cases of criminal law, public law and human rights. He has a wealth of experience in prosecuting and defending the most serious matters in the Crown Court including: Homicide, fraud, corruption, insider dealing and asset confiscation. Advises on all aspects of jurisdiction, specialist casework, regulatory, local authority licensing, taxi and private hire. R v Mirza and Taheer  – Leading counsel for the prosecution, responsible for presentation of the case (via timeline) where defendants of all the same family were convicted for preparing acts of terrorism. Substantial evidence in this case was sourced from electronic media.